This Post has already been read 551 times. Have you ever tried out budget traveling? It is actually specific kind of traveling which is done in low expenditure. Many of the people like travel to a number of destinations. Basically, they are addicted to this type of traveling. Lot of the people are unaware of this common term because it is not used in Pakistan very often. Much of the information is available online but you must look out for some exciting tips which you can find easily find out on this topic, The first and foremost requirement is actually choosing accurate category of airline whose air tickets are basically cheaper, air blue flight will be most suitable option. I am going to discuss many of the important points on this specific topic in this article. Avoiding peak season in the summer and around the holidays is a complete no brainer, but travelers often forget that sheer amount of economic diversity between different countries. Europe can be pricy, but Eastern Europe is much easier on your wallet. Thailand is always good value, but it’s ever better during off season! Be careful though, that local holidays can impact what you’ll be able to do once you get there. Going to Egypt during Eid? Check if the museums will be open, if the flights are cheaper it’s always for a reason! At a travel agency, customers walk in with very different needs, the students are making sure they get to college before the semester begins, the business travelers are chasing a last minute flight to a conference abroad, but you should be the one to tell your agent that you are fully flexible with your travel dates. Letting your agent know that you’re okay with multiple layovers as long as you get a good deal is also important in making sure your agent knows that what you’re hunting for is the best price. Of the airlines currently operating in Pakistan, most airlines are covered by the One World Alliance or Star Alliance, which are two of the biggest airline alliances that let flyers credit their miles from different airlines into one frequent flyer account. Use One World for Qatar Airways, with connections to British Airways, and American Airlines, and Star Alliance to collect points from Turkish Airlines, Thai Airways, with plenty of useful connections via United Airlines in the US. It’s rumored that Etihad Airways will be joining Star Alliance soon, which means that with the exception of Emirates, miles from all the major airlines serving Pakistan can be collected and redeemed with these two frequent flyer programs (FFPs). Redemption options with FFPs begin at only 5000 miles, and they make you the preferred candidate for a free business class update at the airport. You get extra baggage allowance, increased mileage accrual, airport lounge access and other unique perks that are worth every penny. It’s a complete win-win. Hotels are great, but if you’re on a budget opt for a bunk bed in a hostel. Rooms typically have 6, or 8 bunk beds per room, in either a mixed bed dorm or a female-only dorm with access to a shared bathroom. Prices range between $5-$35 a night, depending on where you’re headed. Be careful though, some dorms have curfews which restrict how late you can enter the rooms around bed time. Another great budget option is to Couch Surf. Put your travel dates online on couchsurfing.com and make requests to hosts in your destination who will house you for free in exchange for cultural engagement. A great way to thank your host is to cook a traditional dish from your culture for them or bring a small token of appreciation for them. Safety is of course of utmost importance so take precaution and read through the reviews of your host before your sign up to be their guest. People usually buy US dollars before travelling from Pakistan and then visit a currency exchange at their destination to change to local currency. Horrible idea. Not only do you get a bad rate of exchange both times you change currency but it is also very unsafe and stressful to carry all that cash with you. The best and easiest thing to do is to take your ATM/ Debit card from your local Pakistani bank and use it abroad. Exchange rates with banks are not as bad as what’s on offer at a money changer, but it’s also secure and theft proof. Depending on your Credit/Debit card you could even get free travel insurance and coverage against lost baggage and flight delays! The world is massive, but to explore it your wallet doesn’t have to be. 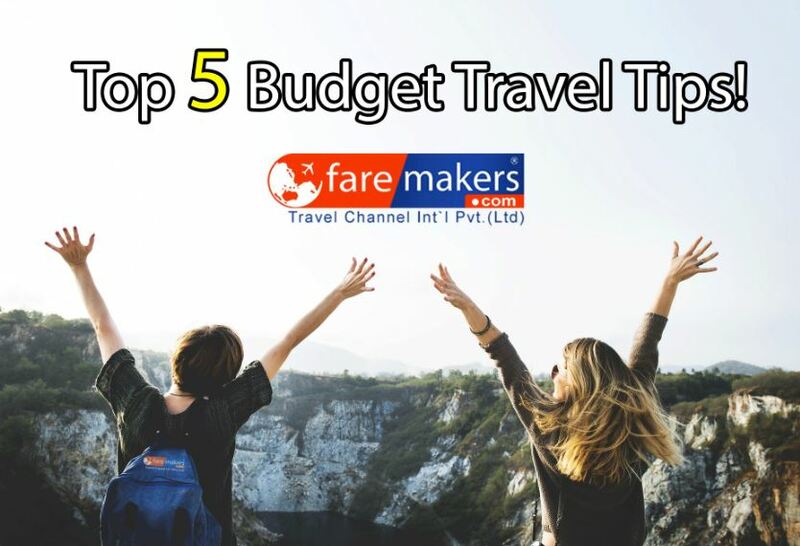 Travel smart, travel often and call up your agent at faremakers.com today to let them know that you want to be the first one to find out when there’s a good offer on airfare to your next destination.